Team rosters are completed prior to the first game of each season online. Each additional player on your roster is $11 adult. The Team Captain is responsible for the team roster and communications in regards to the league. Any team can add unlimited players throughout the season. Once you have submitted a team roster, you can add players at the gate by filling out an add on card at the front gate prior to your game time. Pay the player fee in cash only. The player is added to the roster and is eligible to play that night and any night after for that season. USA Softball of San Antonio provides awards, fields, umpires, scorekeepers and grounds keepers for all league play. Teams are responsible for any equipment necessary to play. 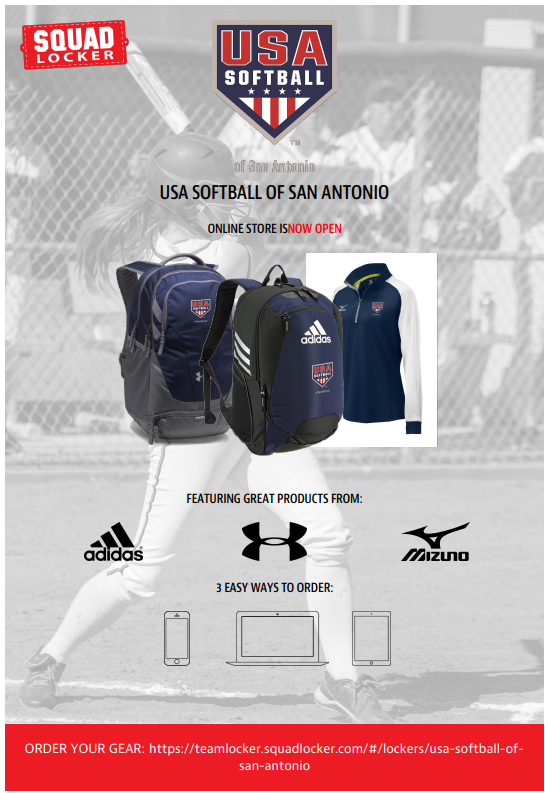 Softballs must be purchased from USA Softball of San Antonio. They are $6.00 per ball and you can purchase from our office or at the gate of each complex during games. Concession stand is open nightly for players and spectators. Concession sells hot food, candy, sodas, beer, water, ice and more! Spectators are welcome! We are a kid friendly, family oriented organization. Spectators will be charged $2.00 per night to enter the complex and children 10 years and under enter for free. In depth details of league fees, procedures and rules are in the Constitution & Bylaws on our website, http://www.usasoftballofsa.com/pages/AdultByLaws . 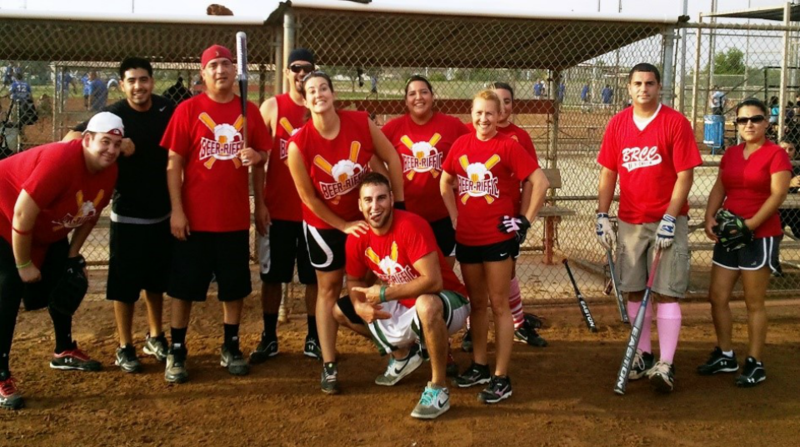 FREE AGENT TEAM - Tuesday, CoEd "Rec"
Check out this Softball league '2019 Summer Adult Slowpitch League - ALVA JO' with USA Softball of San Antonio!